On 11 July 1836, Sir John Hindmarsh, his wife Susannah Wilson Edmeades and their four children set sail from Spithead, England. 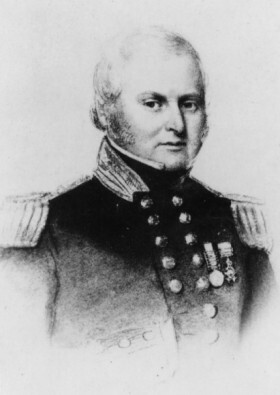 In his command of HMS Buffalo, and its 173 passengers, Governor Hindmarsh was an autocratic and abstemious captain. He had little time or inclination to deal with non-seafaring types, and was not well-liked by the passengers.